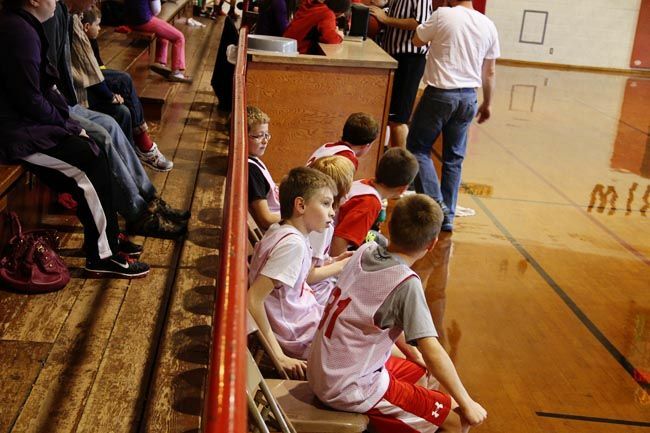 Many of our weekends lately are spent watching basketball games. The boys are little at around 9-11 years old... and they're so fun to watch! 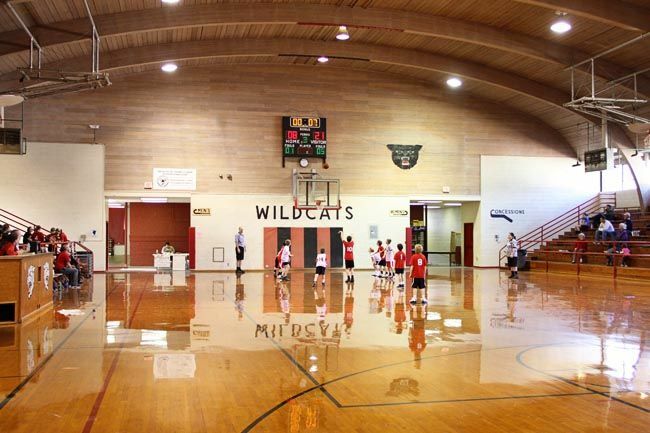 I've blogged about this particular gym before, but it still blows me away every time I see it. Our boys won this game! And they were very excited. I love sports! 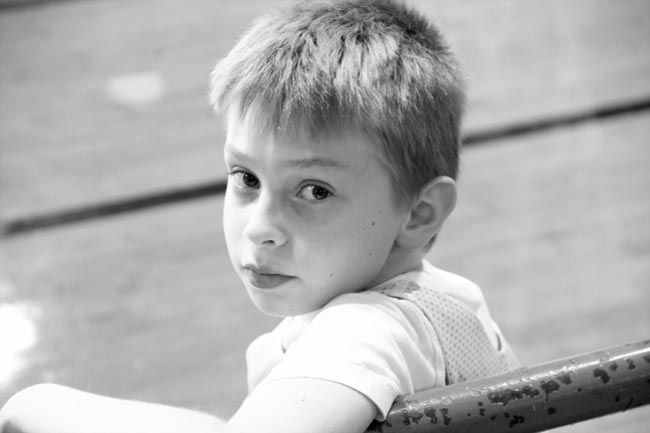 But then I saw a boy from the other team crying, and my mama heart burst. The Boy is number 1. 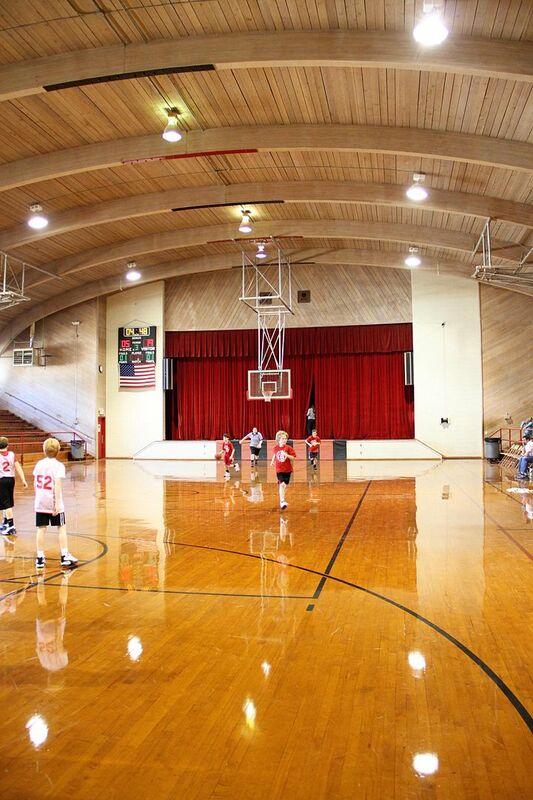 Doesn't this gym look like something straight out of Hoosiers? The smell. 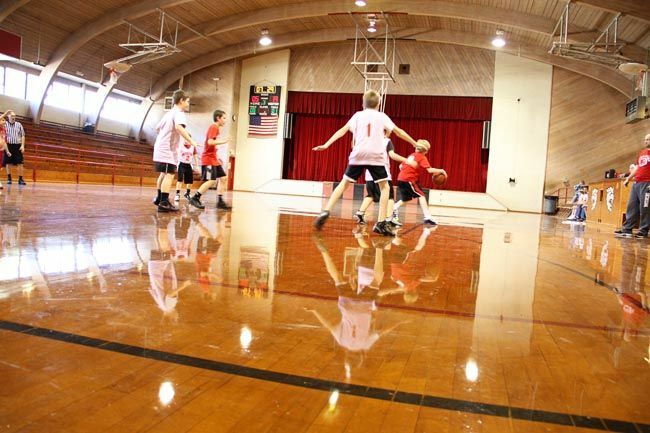 The glossy floor. The golden light that flows in. I gave birth to this thing. And I know I'm a bit biased, but he's the most gorgeous golden boy I've ever seen. This place is so classically small town America, I just love it! I *love* that gym. 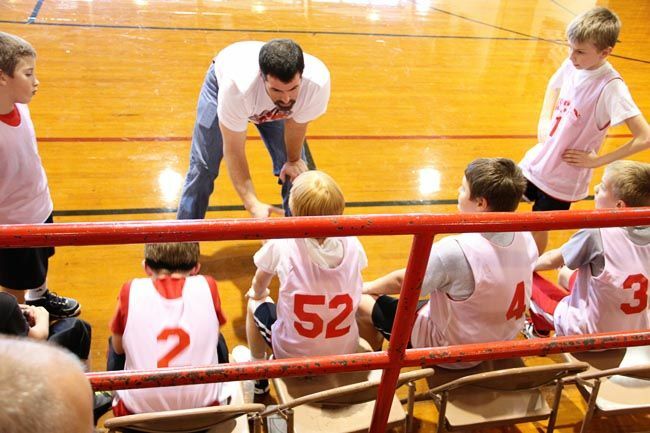 It's probably one of my most favorites out of the many that I've had to go to throughout our basketball career (that it nowhere near over yet). Glad your guys won today - the two of mine who had games this morning lost both of them. Boo. 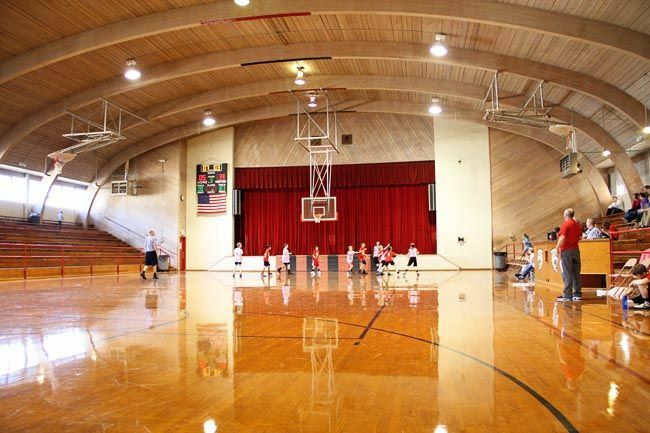 Where is this gym? Very cool slice of Americana! 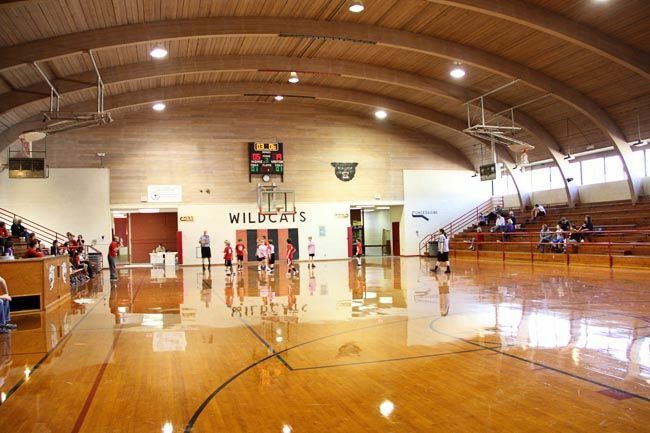 That gym is gorgeous! Our oldest is just getting into sports and I love it! I'm way to competitive though! 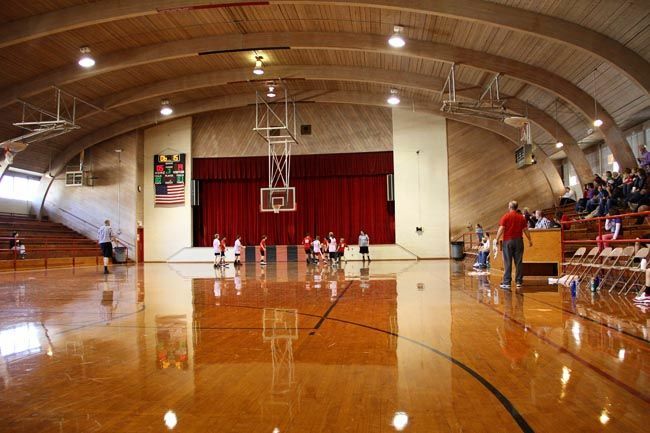 I used to live in the town this gym is in. 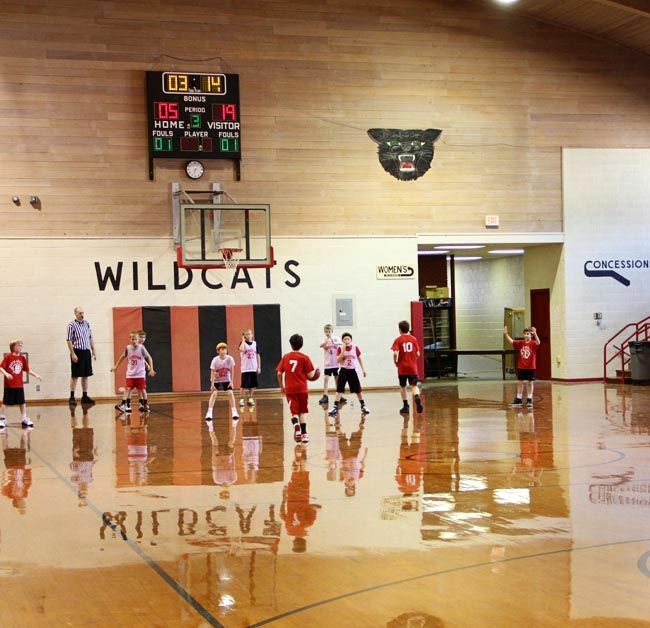 I've spent many a night/Saturday there watching my kids play basketball & volleyball. But the best memories are when I used to watch my then boyfriend/now husband play bball. 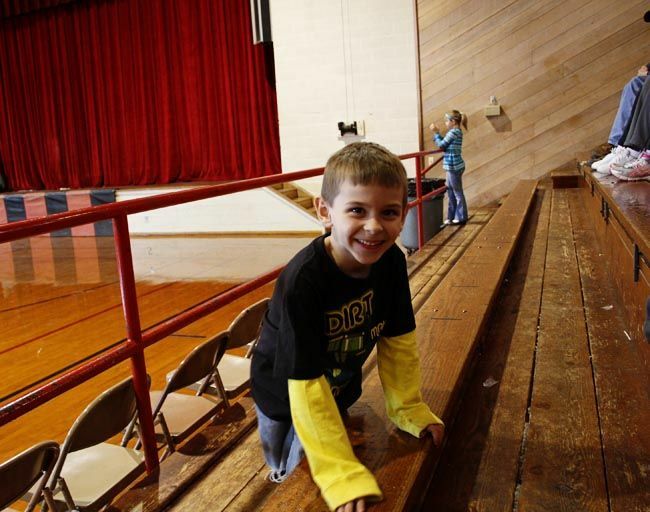 So many great memories in this gym! Thanks for posting!! Hoosiers is exactly what I thought of when I saw the first couple of pictures. Love these shots! Did you ever see the movie "Wildcats?" That was a hoot. 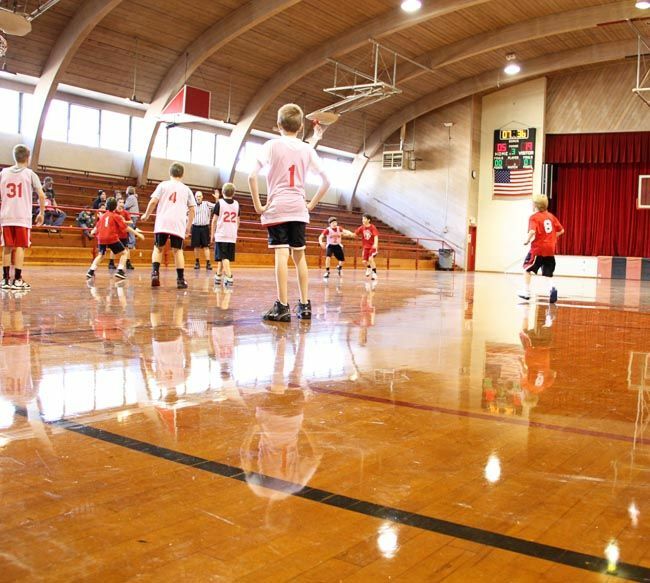 I like basketball, but the thought of running and sliding in that gym in a pair of fuzzy socks ~ fantastic! Ooh...or roller skating!